Jackie Carton is an interior architect specialising in residential interior design. She has ten years experience in delivering full design schemes - from modern and colourful to classically elegant. With a background in art publishing and graphics, her love of art and colour is evident throughout her work and she believes that a well designed home should reflect its owners personality. "As designers we have a responsibility to the client to ensure the layout meets their functional needs. Then, layers of colour and texture add warmth and character whilst some well considered final touches complete the scheme. Attention to detail is one of my hallmarks - it's the smaller, more subtle elements that really help create a harmonious feel. A beautifully designed space is a joy to live in and this is the ultimate goal of every project I undertake". Jackie is known for her open and friendly yet professional approach. She collaborates with a number of architects and building contractors to see each design through to completion. 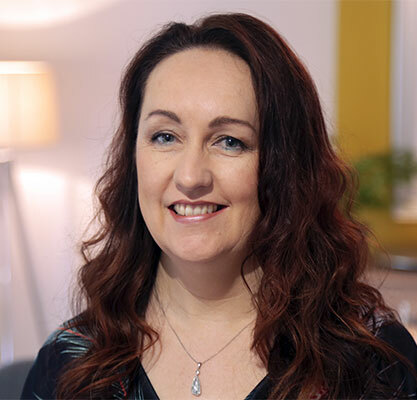 A regular contributor to interior magazines and newspaper articles, Jackie has also been invited to speak at shows such as House Event, the Ideal Home Show and the Self Build shows. She works with developers on showhouse fit outs and in 2017 took part in TV3's Showhouse Showdown programme, winning across all four categories. 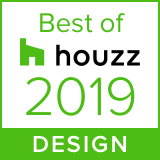 Her work is featured on Houzz where she was awarded "Best of Houzz for both Design and Service" in 2019. Contact Us today for further details of our full interior design service. "We just want to say thank you for creating such a beautiful home for us. It has transformed our way of living"
"Jackies creative input turned our vision for our new home into a reality"
"Thank you for the wonderful rooms we now have. Everyone is so impressed. We relax each evening and talk about what an amazing space it is!" "Thanks a million to you and your team for a fantastic job. I am really enjoying the result"
"A fast, friendly and a hassle free experience"
"Many thanks to you all for the fabulous job you did on my new home. I am delighted with it"
"Jackie brought out the full potential of the property with great flair and sensitivity to the brief"
"Efficient and helpful ... highly recommended"
"Nothing was too much trouble... the job was finished to a very high standard"